At 800,000 sales, Superhot VR has officially brought in more revenue than its non-VR counterpart. It's an eyebrow-raising headline at first blush, but the more you think about it, the more it checks out. The notable milestone was confirmed earlier today by Raw Fury's Callum Underwood. On a normal screen, Superhot is fab. Time is essentially at a standstill until you move, at which point polygonal men charge at you and/or start firing back. The premise offers a lot of strategic control rather than immediately throwing you into the deep end, and the fact that time is malleable means you're constantly able to set up and execute action-movie maneuvers that look and feel cool. It's a game about improvising in stressful situations, but there's enough breathing room to keep it light and playful. 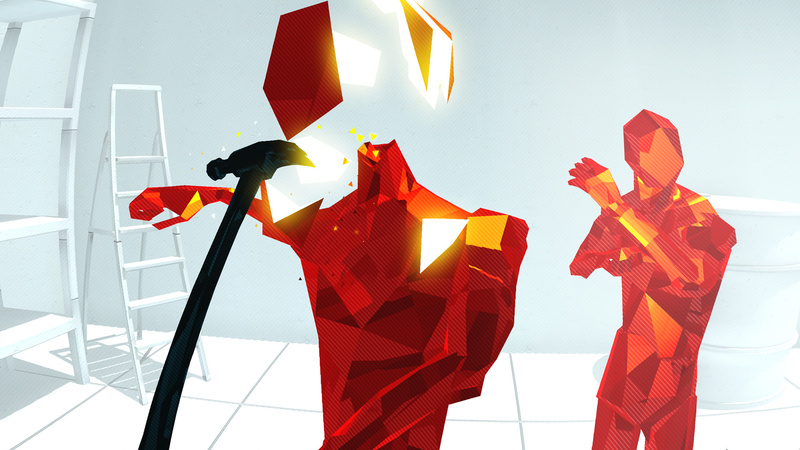 In virtual reality, Superhot goes from being neat to flat-out thrilling. It reaches a point where your personal in-VR experiences stick with you long after you've played and you won't be content until everyone you know and love has felt that same satisfaction. It's joyful to watch friends, parents, siblings, and distant relatives get out of their comfort zone, look a little silly, and embrace Superhot VR. A word of caution, though: If you have a strong and particularly animated brother, don't let him stray too close to any walls. Also, keep a towel nearby for sweat; it's a nuisance. We've known Superhot VR has been selling well for a while now, but hearing a specific sales figure like this frames the conversation in a new way. The game is entirely deserving of its commercial success, and with the upcoming Oculus Quest headset touting it as a launch title, things are only looking up. Another champion of VR, Beat Saber, has cleared one million sales. Superhot VR's gotta be next.